Home » Is BlackBerry Finally Turning The Corner? At the end of last year, if you were offered 10-1 odds that Blackberry (NASDAQ: BBRY) would outperform the market, you probably would not have taken them. Many over the past year have through the company was on its way out. It was also just coming off of a terrible earnings report in December. Its business over the past few years is widely viewed as a mess, lacking strategy with much of the Street expecting the firm to die a slow death. The stock surprised, you would have won the bet, Blackberry’s shares are up almost 33% year-to-date versus a NASDAQ that is down 1.2%. It is possible the stock was oversold and the increase is just a temporary bounce. Or the stock could also have outperformed because fundamentals actually improved for the company and the outlooks is undergoing a positive shift. About one year ago, Blackberry announced the release of the Blackberry 10. Management hoped the new phones and OS would act as a much need game changer and put a stop to quarter-after-quarter of declining market share in smart phones. Apple (NASDAQ: AAPL) and then Google (NASDAQ: GOOG) had consistently outperformed the company and eventually the Windows Mobile OS (NASDAQ: MSFT). In 2014, Blackberry has a pretty low threshold to beat since the Street expects very little from the company. Its market share of new consumer activations in the US was listed at 0% in a Consumer Intelligence Research Partners (CIRP), with Android at 46%, Apple’s iOS at 48% and Windows at 3%. Going forward, anything is better than 0 and leaves room for a surprise. The Street expects little in this area. Blackberry updated its OS last week to BB10.2.1 which includes the ability to run Android apps. The company did not actively promote the new feature, but it could substantially improve the marketability of its devices to consumers. 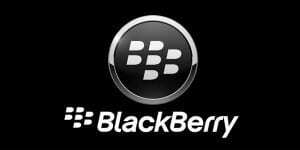 The lack of apps problem for Blackberry could cease to be an issue. However, BB10 devices will not run download apps through Google Play, but will have to use third party sites. But, now that Google is only in software business following the divestiture of its Motorola handset business, this could change and further improve Blackberry’s offering. Blackberry entered into a partnership with Foxconn that will allow the company to offer more devices at lower price points. The first phone rumored for release under the partnership, codenamed Jakarta, will debut at Mobile World Congress in February, held in Spain. The belief is that the devise is relatively low end and is made for sale in the Indonesian market, a market Blackberry has a significant market share in. If the launch goes well, the Jakarta device could make its way to South Africa or other developing countries. The device is expected to command a small premium versus Chinese branded devices and have a price point under $150. In addition, its secure connections for business use and standard keyboard offerings are unique in the market place. The company continues to market its enterprise services to large companies, government organizations and the military, where its more secure environment is appealing. It has over 80,000 enterprise customers globally. 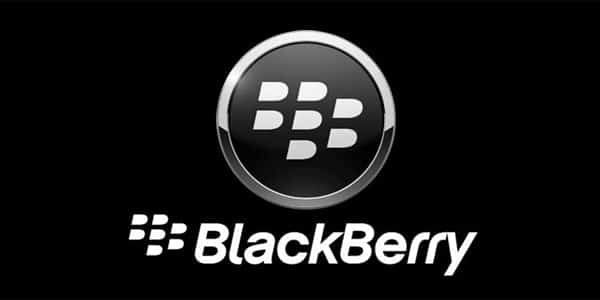 Firms and organization with the highest security needs use Blackberry for their mobile infrastructure. The US DoD networks use Blackberry and all seven of the G7 nations also are listed as customers. The emphasis on enterprise focuses on a part of the market where it has the edge and the competition is significantly lower. Apple, Google, Windows and the Chinese mobile phone makers are all built around the consumer. With security needs increasing, Blackberry can cement itself in this part of the market. This part of the business could become attractive to those mobile players or even to a firm like Cisco (NASDAQ: CSCO) or another network infrastructure company. Blackberry’s immediate challenge is still to stop the bleeding of cash and return to positive earnings territory. Recent strategic decisions may have started the company down this path. First, it cut people, also solved some inventory issues, and entered into an agreement with Foxconn in order to help on the cost side. Second, it has put more emphasis on the enterprise part of the market where it is a market leader and is in an advantageous position. Third, it is continuing to grow retail, but more so in developing markets it has a position in through the introduction of low cost devices. It does not need to win in the very competitive consumer market in the US. While the updated OS that includes the ability to use Android apps could help in this area, it represents all upside to muted expectations from the Street. There is little downside to the shares from this part of the business and some upside for a change. What are your thoughts on the future of Blackberry? I called the downturn of Blackberry on my blog well over a year ago. I figured they’d end up bankrupt, but while they definitely suffered, they never went that far. I’ve seen the turnaround. I considered getting in a few months ago, and while I didn’t, it’s still on my watch list. I think they are transforming from a hardware company to a software company. If they’re to succeed, you won’t hear about people using a Blackberry phone. Those days are in the past. Instead, you’ll hear about people using Blackberry software on their other phones.